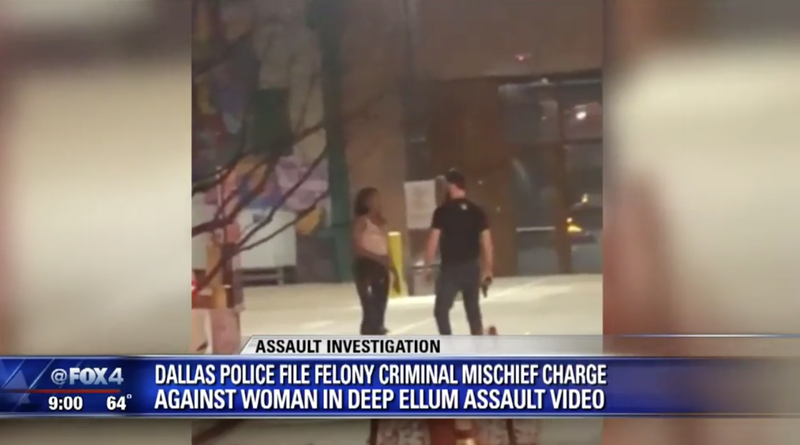 On March 21, a video surfaced in which bartender Austin Shuffield, 30, and L’Daijohnique Lee, 24, were involved in a heated dispute in Deep Ellum—a suburb in Dallas. Lee had been driving the wrong way, and in turn, was blocking the exit behind a barbershop and bar where Shuffield served drinks. Shuffield got out of his truck to confront Lee, and with gun in hand, attempted to intimidate her. An argument then ensued. Feeling clearly threatened, Lee attempted to call the police. That’s when Shuffield violently slapped her phone out of her hand and she reacted by striking him. In response, he unleashed a series of vicious blows to her face and head before forcefully kicking her phone. Upon the arrival of police officers, an intoxicated Shuffield was apprehended and charged with public intoxication, assault causing bodily injury, unlawful carrying of a weapon, and interference with an emergency call. He was also fired from his job. “It’s horrific what happened in the video itself,” Braxton Martin, the owner of High and Tight Barbershop where Shuffield worked, told ABC 7 Dallas. So with Lee’s assailant behind bars, this all too familiar story ends exactly how it’s supposed to, right? Because on Tuesday, Lee learned that she too was being charged—for felony criminal mischief. After she was viciously attacked, she retaliated by breaking out the back windshield of Shuffield’s truck with a jump box. And in Texas, criminal mischief is a state jail felony if the damage exceeds $1,500 to $30,000. “She admitted to committing that offense that night,” Deputy Chief Thomas Castro told CBS 11. The Dallas County Criminal District Attorney’s Office issued a statement in response, noting that they learned via media inquiries that the Dallas Police Department issued a warrant for Lee’s arrest. “The District Attorney had no prior knowledge that an arrest warrant was issued. When and if charges reach the District Attorney’s Office, we will take appropriate action,” their statement read. So what do the police have to say in defending their decision to pursue charges? But the police aren’t the only ones prepared to take action, as Deep Ellum activist Dominique Alexander, founder of the social justice initiative Next Generation Action Network, took to Twitter to issue a warning. The Deep Ellum Arts Festival, which kicks off April 5, will be celebrating its 25 anniversary this year. The massive family friendly, three-day event will feature over 200 artists, over 100 bands, and draws thousands annually. It will also be the site of relentless protests should the charges against Lee remain. But the police sound equally prepared for whatever goes down. “We encourage people use their First Amendment right, and afford them that right to protest,” Castro said.